On Dec. 4, 1969 Fred Hampton was assassinated while sleeping in his bed by a tactical unit of the Cook County, Illinois State’s Attorney’s Office, in conjunction with the Chicago Police Department and the Federal Bureau of Investigation. Fellow Black Panther Mark Clark was also assassinated that night. The murder of Hampton and Clark was part of the FBI’s plan to disrupt and neutralize the Black liberation movement and the Black Panther Party specifically. Despite his young age, Fred Hampton made tremendous contributions to the movement for black liberation, working class revolution and socialism in the U.S. His example still shines and inspires people fighting for change almost 40 years later. What Did Fred Hampton Do? Fred Hampton was born in 1948 in Chicago, Illinois and grew up in nearby Maywood. While a teenager he got involved in the NAACP and his leadership abilities quickly became clear as he led campaigns to improve services in the Black community When the Black Panther Party became established in Illinois, Hampton joined in 1968 and became a Party leader. Hampton’s work over the next year made the Chicago Black Panthers one of the biggest and most successful chapters in the country – and therefore also one of the most targeted by the FBI. Fred Hampton did an amazing amount of organizing during his time as a leader in the Black Panther Party, before his assassination. He organized weekly rallies, worked closely with the Black Panther Party’s local People’s Clinic, taught political education classes and launched a project for community supervision of the police. Hampton was instrumental in the Black Panther Party’s Free Breakfast for Children Program. 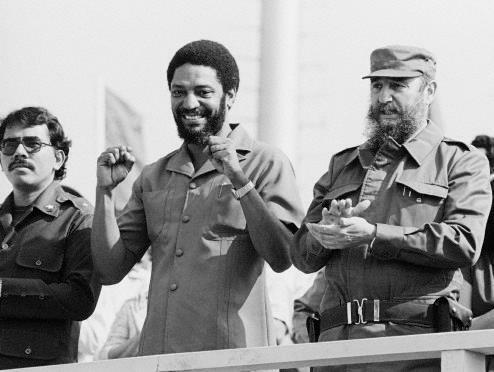 He also engineered a truce between some of Chicago’s street gangs and built alliances with radical and revolutionary organizations of other nationalities, including the Puerto Rican organization Young Lords and the mostly-white organization Students for a Democratic Society. In their political organizing, Hampton was adamant that the Black Panthers must raise the political consciousness of working and poor Black people toward socialism. He said that people learn through observation and participation, so the Panthers’ programs were modeled to show people in practice what socialism is, and to get them involved so people could learn from their own experiences in the struggle. He always said “all power to the people” – making clear that change is made by the masses of people and that the goal is to win real power, not small reforms that leave the existing power relations in place. Why were the Black Panthers particularly singled out as the supposed ‘greatest internal threat to national security’ by FBI head J. Edgar Hoover? Because they were succeeding in organizing large numbers of Black people to fight for revolutionary change with a socialist vision. They were inspiring hundreds of thousands of people of all nationalities toward revolutionary and socialist politics. 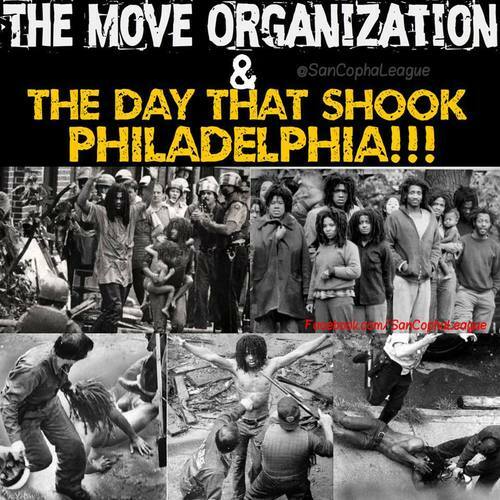 They launched programs and campaigns to fight for the felt needs of the masses of poor and working class Black people and organized thousands of mostly young Black people into a revolutionary organization. They dedicated themselves to overthrowing white supremacist capitalism in the U.S. and replacing it with a socialist system based on the needs of the people. Following in the footsteps of Malcolm X, they upheld the right to armed self-defense. They identified with the national liberation movements and socialist countries in the Third World and they studied the writings of Mao, Fanon, Lenin, Marx, Ho Chi Minh, Che Guevarra, Kim Il Sung and other Third World socialist revolutionaries. The Black Panthers’ socialist politics and identification with anti-imperialist liberation movements around the world caused the ruling class see them as a real threat. The Black Panthers didn’t mainly focus on organizing the working class as such. They tended to focus attention on the lower sector of the working class in their communities and on the ‘lumpen proletariat’ (poor people who are basically outside of the formal economic system and get by on the ‘informal economy’, hustles, petty crimes and the like), and they also had a large base of support and members from petty bourgeois and student backgrounds. But Fred Hampton always spoke of the working class, the ‘proletariat.’ From his practice it’s clear he was talking about the working class as a whole – including the lower sector and the lumpen, but not just them – the working class as a whole. As can be seen above, Hampton spoke clearly of the fact that there is a multinational working class and that there are poor people of all nationalities. He talked about the need for working class and oppressed people to unite, and he initiated the original “rainbow coalition” of radical and revolutionary forces of different nationalities. As a leader in the Black Panther Party, Hampton primarily built the Black liberation movement. This basic orientation of building the Black liberation movement is correct, since Black people as a whole suffer national oppression in the U.S., and the fight for Black liberation is vital and is revolutionary. Historically, the Black liberation movement has played a key role as a motor in propelling forward broader movements for change in the U.S.. The Black Panthers definitely played that role, inspiring many other people to come to revolutionary conclusions, and providing inspiration for the formation of organizations similar to the Black Panthers among other oppressed nationalities, such as the Brown Berets, I Wor Kuen, Young Lords Organization and the American Indian Movement. While based in and building the Black liberation movement, at the same time Hampton correctly emphasized working class leadership within the movement and upheld a working class orientation overall. This was controversial, as some other Black organizations criticized the Panthers for working with white people and people of other nationalities at all and many also criticized the Panthers for focusing so much on class instead of just focusing on racial oppression. Fred Hampton had a great ability to connect the daily struggle for immediate needs (reforms) with the larger revolutionary goal of transforming the whole society. He was able to put in practice and help people understand that we have to fight to improve poor and working people’s lives now through struggle, but without getting stuck in reformism and forgetting the need for revolutionary change. His ability to link the struggle for reforms with the struggle for revolutionary change was one of his greatest talents. Hampton avoided the errors of reformism for its own sake on the one hand, and ‘ultra-left’ revolutionary talk without action on the other hand. Revolutionaries need to learn from Hampton’s ability to put in practice what Marxist-Leninists call the ‘mass line’ – organizing around the particular felt needs of the masses, and out of those particular struggles drawing the general lessons of the need for revolution and socialism to truly win freedom. The murder of Fred Hampton is one of the sharpest reminders in recent history of the ruthlessness of the ruling class in the U.S. It shows the naked oppression that the U.S. government won’t hesitate to use when working and oppressed people – particularly oppressed nationalities – start to organize effectively and gain mass support for fundamental change in the interests of poor, working and oppressed people. There were many black progressive and radical organizations in the late 1960s, and they were all seen as a threat and targeted by the ruling class – whether the pacifist Martin Luther King, Jr. and the Southern Christian Leadership Conference, the revolutionary nationalist Malcolm X and his Organization for Afro-American Unity or the socialist Black Panthers and their leaders such as Fred Hampton and Huey Newton. The FBI targeted the Black Panthers nationally, as part of their campaign of harassment and disruption of the Black liberation movement as a whole. Panther offices were raided around the country, prominent leaders were framed up and jailed on bogus charges, different people and groups in the movement were purposely turned against each other by writing fake letters from one group to another and spreading false rumors. And in the case of Fred Hampton, along with Mark Clark, Bunchy Carter and some other Panther leaders, there was outright assassination to try to silence the Panthers’ revolutionary spirit. As part of this national counterinsurgency campaign against the Panthers, the FBI encouraged and helped the Chicago police launch an all-out assault on the Panthers in Chicago. The Black Panthers leaders were physically attacked and their offices were raided multiple times, including twice in July 1969 and once in October. During these raids over 100 Panthers were arrested. As another form of harassment, in May 1969 Hampton was prosecuted on ridiculous charges of stealing $72 worth of ice cream in Maywood two years earlier, and sentenced to two to five years in jail, though he managed to obtain a bond appeal and was released in August 1969. The government’s neutralization campaign culminated in the brutal raid on Hampton’s apartment on Dec. 4, 1969 in which he was killed in his sleep, with his pregnant wife in bed next to him. The Chicago Police Department had been given the layout of the apartment by an FBI informant who had infiltrated the Panthers. Hampton was also drugged that night with the powerful barbiturate secobarbitol by the FBI informant so that he wouldn’t wake up during the police assault. The FBI took a particular interest in Fred Hampton. They opened a file on him in 1967 that over the next two years expanded to twelve volumes and over 4000 pages. By May of 1968, Hampton’s name was placed on the ‘Agitator Index’ and he would be designated a ‘key militant leader for Bureau reporting purposes.’ FBI head J. Edgar Hoover had put in place a policy of trying to ‘neutralize’ key Black leaders, which meant in practice the fate that Malcolm X and Martin Luther King, Jr. received in 1965 and 1968 – assassination. National Black Panther leader Huey Newton was also imprisoned on trumped up murder charges and the Party had a national campaign to fight for his freedom, which they ultimately won. By tagging Hampton as a ‘key militant leader’ the FBI put Hampton in the company of those great leaders and he ultimately shared their fate at the brutal hands of the FBI and Chicago police. Like other Black Panthers, American Indian Movement members and Puerto Rican independence fighters that were killed or jailed on trumped up charges; like socialist and anarchist leaders from earlier generations such as Sacco and Vanzetti or the Rosenbergs who were jailed and executed; and like Black liberation fighters from earlier generations like Nat Turner, Denmark Vessey and Gabriel Prosser, Fred Hampton is part of a tradition of revolutionaries in the U.S. who were cruelly cut down for trying to mobilize the masses of people to challenge the existing order and fight for liberation.